Home / Articles / How Long Will It Take For Love Spell To Work? Are you eager to know when the love spell would work? the first thing that takes place is your love spell is cast, but what happens throughout a love spell’s journey? The second your love spells witch starts casting your love spell it becomes alive and once your love spell is completed your witch seals your love spell before releasing it into the Universe for your wish to be granted as soon as possible – at which point it instantly starts working on your heartache, there is no delay before it begins its work. 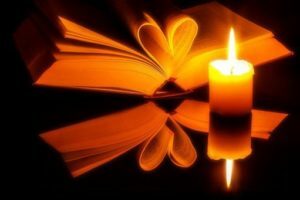 Love spells are psychic energy, psychic itself has no time, and therefore instant, it doesn’t take a quarter of a second, it’s instant, hence once your love spell has been cast, your love spell will immediately start working on your love troubles but it doesn’t grant results instantly, it cannot because your love problem isn’t psychic, your problem is ruled by time – your love problem has a past, present and future. Your love spell repairs the main problems first, you might not be able to see these changes at first, and assume your love spell has failed, it hasn’t, it’s working on your ex’s negativity, it’s working on ways for you and your ex to meet each other again, it’s blocking people and situations from your future from happening if they might delay your reuniting and such things are invisible. Sometimes a visual result appears while your love spell is working mainly on the invisible elements – you might receive a positive text, that’s because your love spell wants to give you hope a let you know it is working, but usually a love problem is deep and complex and an ex might be reacting very negatively, so your love spell will work 100% on the invisible problems first. It varies dramatically for case to case how much work a love spell has on its plate. If your ex is very moody and not wanting to speak to you let alone be with you, until your love spell has changed their mood you cannot expect to receive a text, call or sign of hope. I do Love Readings if you find waiting impossible, they aren’t essential, because no sign of visual results 99.9% of the time means your love spell is busy with invisible tasks i.e. your love spell is working, major visual results of course do tend to be your full results. A Love Readings can look carefully at what is going on if you feel you need to know more. A love spell always work as fast as it can, you can be sure a witch cannot cause one person’s love spell to work faster than another person’s. Extra love spells can help, simply because they add further power to your situation, but predicting exactly when results will appear is impossible, and all most love spells witches can do is tell you the average time for results. Love spells keep working until results appear, that’s because it is obvious to a love spell if it has more work to do – it cannot miss anything out, it psychically knows everything. I think most witches will tell you, once your love spell has been cast results may be granted any moment afterwards, usually within a month, but it could take longer, maybe another month or so, but equally your results might be with you within a few days. Love spells work as fast as they can. Next Is It Safe To Cast A Love Spell?